Acer, the Taiwanese company will soon launch the newest model to its line of Switch tablets. The latest is a 12-inch Aspire Switch tablet with a new design, and improved hardware. The device will come with 64GB and 128GB model options. The 12-inch device features a completely new and a better design compared to its predecessors. Today, the 2-in-1 convertible and detachable laptops and tablets are increasingly becoming popular and are at a rapid growth in the markets worldwide. Acer aims at increasing the performance and looks of such devices with the Intel Core M technology. Intel claims that the Intel Core M fanless processor will allow for a slimmer and a more portable device, and a much longer battery life than its previous models. 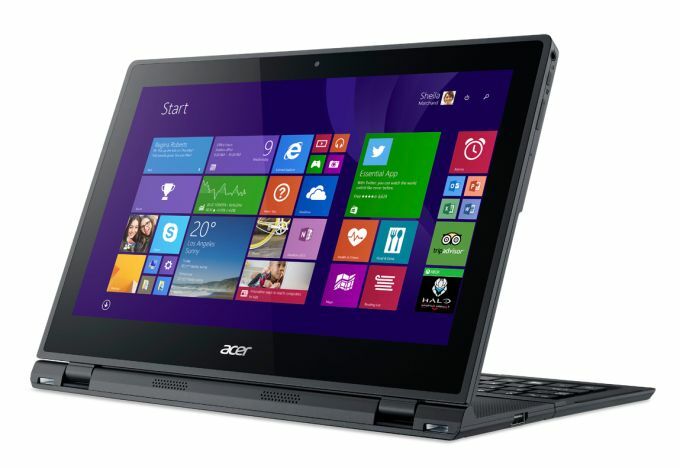 Acer has used Windows 8.1 operating system for the Aspire Switch 12. This is one of the first devices to feature the Intel Core M technology. Acer has incorporated the Zerogap Touch technology which reduces the thickness of the display, thus offering the slimmest screen and sharpest viewing. It makes the screen more vibrant. Another feature that makes the Aspire Switch 12 unique in its design is the keyboard, which adds to the sleekness of the 12-inch device. The hinges which flex at 360 degrees allow you work with the device at any comfortable angle when placed on a surface. The keyboard pulls out entirely; either you can use it as a tablet or as a laptop, depending on your convenience. You can also use it as an all-in-one desktop device. Unlike the other 2-in-1 tablets that have a detachable keyboard which snaps off at the hinge, this 12-incher has the hinge and a piece of the base always connected to it. The keyboard dock sits behind the tablet face which is held in place by magnets. You can pull this out as a separate piece and use it as a kickstand to work with the tablet at any convenient angle and apparently convert it to a desktop device or a laptop; even with the keyboard absent the tablet can stand freely without toppling over. The keyboard can be placed in front of your device and used as a wireless keyboard. There is no touchpad on the keyboard; instead you have the left and right buttons below the space bar and a pointing stick at the center. 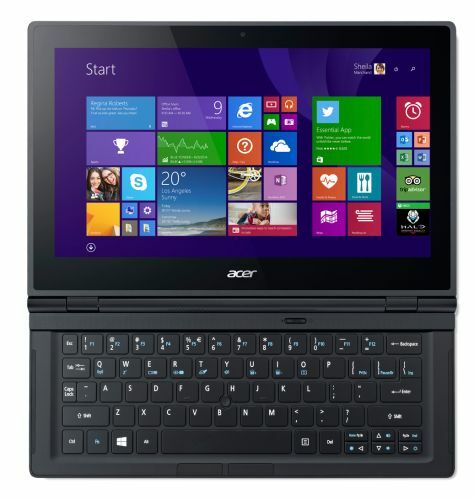 The Acer Aspire Switch 12 comes in two variants. One is the 2 GB RAM, 32 GB internal storage powered by the Intel Atom Z3745 processor and the other one is with 4 GB RAM, 64 GB internal storage powered by a more powerful Intel Core i3-4021Y processor. Both models sport a 12.5 inch IPS LCD display with a Full HD resolution of 1920 x 1080 pixels. There is a microSD card support for memory expansion. The maximum supported capacity of the memory card is not known. It has a micro USB port, HDMI port, and headset ports, 3.5mm audio jack, Dolby Home Theater powered stereo speakers, and runs a full-fledged Windows 8.1 OS from Microsoft pre-installed out of the box. The device has Intel HD 5300 graphics and stereo speakers. Switch 12 sports a 2 megapixel front camera for making video calls. For connectivity, it supports 802.11n WiFi and Bluetooth 4.0. 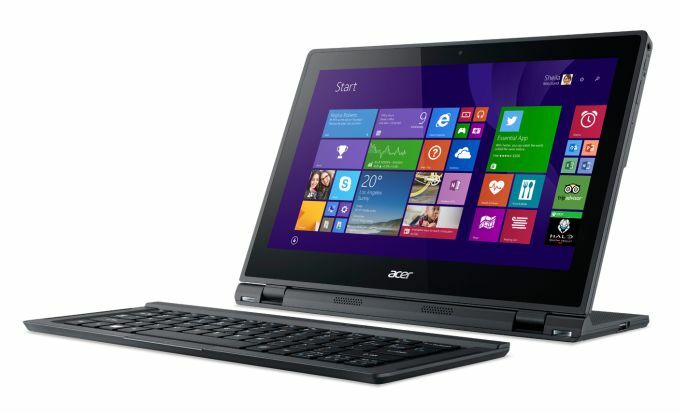 Acer Aspire Switch 12 will be released worldwide starting November 19. Aspire Switch 12 will not cost much more than its £299 Switch 10 predecessor. The device is currently priced at around $649 to $699.